At first glance you might overlook Cyberghost as a potential VPN provider, the provider is located in Romania with a respectable presence in Germany. They only have 50 servers with all but five of those being located in Europe and the remaining five being located in the United States. 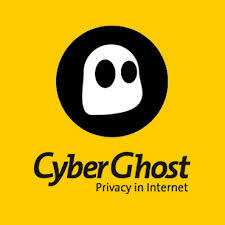 Cyberghost should not be dismissed lightly, the provider offers a completely free VPN plan that while limiting you somewhat, is perfectly serviceable and costs you nothing but some time to view ads every couple hours but more on that later. First, our expert Cyberghost review. With Cyberghost’s free VPN plan there is very little reason not to try the service out. Some of the limitations is that there is a 1 mb/s cap on download speeds, no ability to choose specific servers though Cyberghost do say they will make their best effort to connect you to the nearest possible server, and after six hours you will be automatically disconnected and have to manually reconnect. Each time you connect to the server you will also be shown a short ad with additional ads coming once every two hours. This basic free plan uses OpenVPN protocol to connect users with 128 bit encryption, plenty of security for most users. If the disadvantages are too much for your needs, you can opt to pay for one of the two other plans on offer by Cyberghost. The VPN Premium plan will cost you about $7 a month and offers unlimited bandwidth, unlimited traffic, the ability to choose specific servers, no advertising or waiting queues to connect, and automatic reconnection. This plan still uses 128 bit encryption but does give users the option to connect via PPTP and L2TP/IPsec protocols which also use 128 bit encryption. If you are the type of person who likes to test drive a service before committing to payment Cyberghost offers a free month of premium service just for signing up for a free account giving you plenty of time to decide if the service is right for you. If you want to spend $11 a month you can go with a premium plus account which has all the benefits of premium with some additional benefits. With premium plus, users can connect up to 5 devices at the same time as well as access to servers that can use 256 bit encryption. As Cyberghost is located in Romania it is subject to the EU data retention policy, but Cyberghost keeps no logs of user activity or anything that could be handed over. The only logs kept by the company are anonymous 24 hour logs to ensure stable performance. These logs are deleted every 24 hours and hold no user information. Once payment has been completed no person financial information is kept either. No Cyberghost VPN review would be complete without talking about which devices are supported, and that answer is Cyberghost supports most devices including mobile. It also supports use on Windows, Linnux, and Mac operating systems as well. To make your shopping and comparison easier, we have put together a table of the top VPN providers highlighting their pros and cons all in one easy to read location. While you may be sold by this Cyberghost VPN review, you can compare what Cyberghost offers in comparison to some of the top providers to decide if this provider is the one for you.